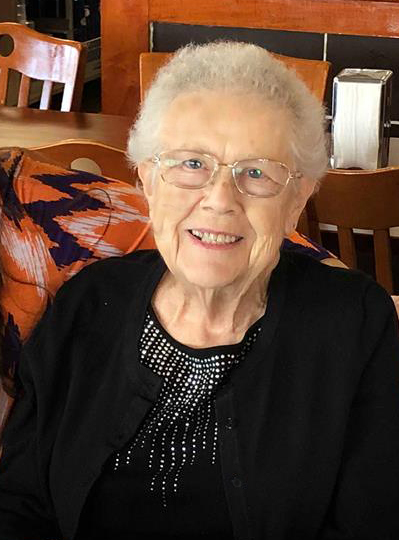 Sarah Anne Henry Snell, 80, of the Lake Secession Community, wife of the late Aaron Leon Snell, Sr., entered into eternal rest on Thursday, March 21, 2019 at the Rainey Hospice House in Anderson. She was born in Alexander City, AL to the late Marvin Houston Henry and Marie Lougene Coggin Henry. Mrs. Snell was employed by the Abbeville County School District for 30 years having retired as secretary at Diamond Hill Elementary School. During her tenure with the school district, she was instrumental in organizing the Abbeville County School Secretary Association. She was also involved in the formation of the Lake Secession Property Owners Association and served as their President and Secretary. She was a devoted member, Sunday School teacher and choir member of Emmanuel Baptist Church. In addition to her parents and husband, she was preceded in death by a son, Aaron Leon Snell, Jr. and a sister, Betty Lou Henry. Mrs. Snell is survived by her two daughters, Sara Elizabeth Oliver (Guy) of N. Augusta, SC and Teresa Ann Busby (Bill) of Honea Path; two sisters, Suellen Henry Wilson (Don) of Alabama and Teresa Henry Alexander (Steve) of Utah; six grandchildren, Jessica Brown, Andrew Oliver (Alex), Jennifer Browning (John), Daniel Oliver (Brittney), Rebecca Oliver and Aaron L. Snell, III; nine great-grandchilden, Breanna, Makayla, Jackson, Lucas, Lilly Grace, Amberlynn, Payton, John Aaron, and Abigail. The family will receive friends 6:00PM – 8:00PM, Sunday, March 24, 2019 at Harris Funeral Home, Abbeville Chapel. Funeral Services will be 2:00 PM, Monday, March 25, 2019 at Emmanuel Baptist Church with Rev. Tommy Alewine officiating. Burial will follow in the church cemetery. Memorial contributions may be sent to Emmanuel Baptist Church, 5081 Highway 28 North, Abbeville, SC 29620, your local Gideon International camp, or Hospice of the Upstate, 1835 Rogers Road, Anderson, SC 29621, in Mrs.Snell’s memory. Harris Funeral Home and Cremation Services, Abbeville is assisting the Snell family.